What is LMS software? The formal definition always remains the same, but the utility of an LMS software varies from objective to objective, industry to Industry, and time to time. According to Wikipedia, a learning management system (LMS) is software that administers, documents, tracks, reports, and delivers learning materials, agendas, or educational programs. However, moving deeper into the concepts, we cannot rest on an eLearning platform capable of only teaching the stuff. What is LMS integration for a person, company, corporate, or an organization in 2019? The requirements for all adoptees are not the same. For example, an individual looking out to venture in online learning and training industry will focus more on eCommerce features such as the abilities to sell and earn from the courses. A corporate will look for the features for collaboration and distribution of the courses. An educational institute will hope to get a blended learning capability with features such as attendance tracking, certificate generation, and learning assessment. How to choose an LMS for integration? Just Google the phrase “LMS software” and you will see thousands of links to different products, services, and articles claiming to offer an eLearning platform or an LMS tool. Which one is the best? It’s tough to tell with a casual look. Some solutions might come with all the features but not fit into your budget, while some online learning and training tools might fit into your financial plan but offer useless features. It’s always a complete dilemma of choosing the best LMS integration for your particular cause. This article aims at clearing the same though. Here is the thing. Despite you aim at your own set of preferred requirements, some fundamental aspects of an LMS software are always prevalent at every sphere. 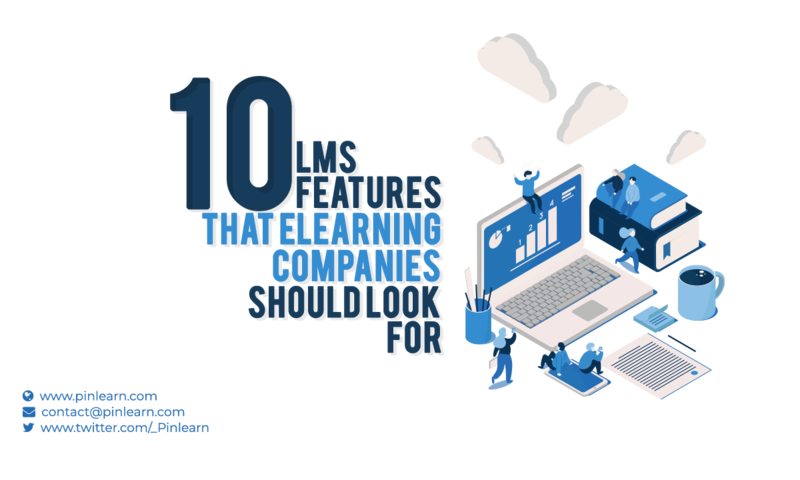 Besides custom requirements, if any LMS, online learning and training software or an eLearning platform does not meet the following ten requirements, consider getting it done through custom development. If not, just skip and look at some other vendor. Trust me, you will know after reading this article that why can’t you afford to overlook these features in your personalized LMS software. Here is the list. Your authoring tool is responsive, but the LMS isn’t mobile-compatible. Your LMS is mobile-compatible, but it is not mobile responsive. Mobile compatibility is fundamental but more important is mobile responsiveness in 2019. A responsive online learning and training solution can solve an array of problems by default. Mobile users will enjoy the same ease of browsing as on desktops, who are almost 62.9% of the total internet users. It means you have affirmative access to almost 4.78 billion mobile users by the year of 2020. With a majority of users of your eLearning platform coming through mobile, a responsive LMS integration is a must for improving your rankings in the search engines. Check the tech stack of the software and confirm if it supports HTML 5 framework. HTML 5 is compatible across all the popular mobile, tablet, and desktop devices. A UI designed on HTML5 is always mobile responsive. Check if they provide a demo or trial version. Check the demo on different devices to see how they have implemented the HTML5. Weather on all devices and ensure not just the UI but also the compatibility of different course formats. For example, you should prefer an HTML5 video instead of the flash format. Many platforms do not support Flash. Test the LMS on Google’s PageSpeed Insights. You can test any URL on this tool to find the page’s loading speed. An URL loading slow on this tool will definitely have issues on mobile devices too. This tool also generates a report of drawbacks in design that made the page load slower. You can find the design flaws of the LMS using this tool. Google also offers a dedicated tool to check mobile loading speed. Use Google’s testmysite tool to check the mobile loading and optimization flaws of the LMS. Mobile responsiveness is not just mobile compatibility but also the ease with which mobile users can browse a site in the same way they do in desktop versions. So always check for the fluency than just compatibility. You don’t want to frustrate your mobile phone users, who are in the majority. If your budget permits prefer an LMS integration that comes with mobile apps for Android and iOS. With unmatched mobile UX, mobile apps can support features like offline mode, which lets users learn even if there is no Internet connection. User collaboration and community support are two broad terms. They purely refer to the case when a user might want to connect with other users on the same platform for a discussion, task help, and even for moderation. User collaboration is not only important for the learners but also for the admin users who manage the LMS. How it affects the admin users? You would not want every admin user to have the ultimate access. Training managers to track the course progress. Hence, you need different users at the back-end, who would collaborate to create a whole program. Learning is always in its best form when done collaboratively through discussion with peer learners and guides. Learners accessing the courses might want to share the insights or discuss certain aspects with other users on the platform. It is only possible through a community-like collaboration where features like discussion boards, file sharing, and virtual chats, blog, and wikis come handy. Multiple user support for the back-end. User access control for admin panel. Wiki support for the knowledge-base archive. Always check if the above collaborative feature is there by default. If not, ensure the script is capable of integrating third-party APIs to add these features. For example, support for plugins, Add-ons, or API to integrate an external webinar platform. This brings us to our next point. LMS vendors keep some advanced features as paid Add-ons. LMS can’t have features that would be discovered in the future. Some features are too complicated or costly to integrate into the base code. Instead, an ideal LMS always offers a standard coding, which allows support for non-inbuilt features as an add-on or third-party API support. Most of the times you would integrate an LMS in one of your existing systems like CMS, ERPS, talent management software, HRIS system, or workforce management systems, etc. 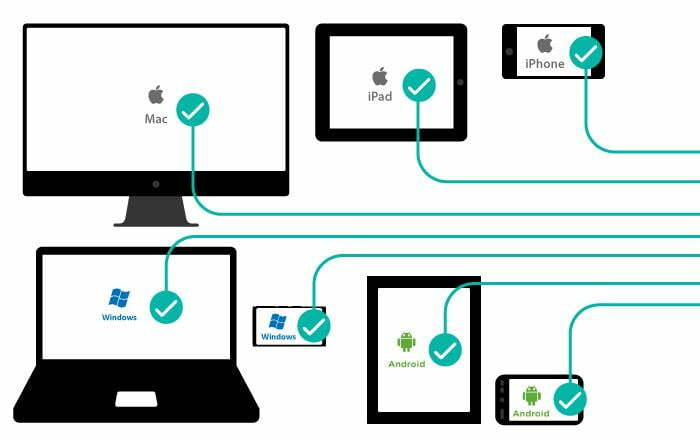 You need an LMS that can support these integrations in such third-party systems. It’s unnecessary to have all features by default. The LMS must possess the code standardization and frameworks that support easy integration with popular tools and software, which can be used on an eLearning platform to add the missing features. 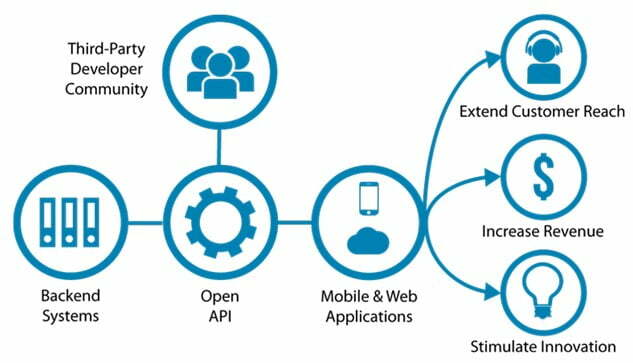 Many times, the popular third-party APIs are more desirable than integrated base features. For example, it’s better to integrate the GeoGebra math tool API than developing a math tool of your own in the base code. LMS reports can display the user activities in graphical and tabular formats. This analytics is nothing but the statistical representation of different activities performed by different users on the eLearning platform. The analytics records every activity, the reporting system displays the data in a logical format, while the certification system gives feedback based on the analyzed reports. A proper LMS integrates all three features in one platform and facilitates the workflow. All three aspects are important in each stage of online learning and training activity on the platform. Based on different pre-set metrics, the platform can generate reports for each type of user activity. For example, an admin can know the stats of how many learners are there on the platform, how many courses they have completed, what is the status of the current course, what’s their attendance, how many tutors etc. Equally, tutors can understand learners’ activities such as how many students are taking their courses, how much they are scoring in the assessments, etc. Based on all these stats, the LMS can generate reports which can also be represented as digital certificates for the achievers. Always ensure that they equip the LMS you are integrating with the Analytics tools and generates reports in different formats. Focus on the metrics it analyzes to generate reports. More are the metrics, better is the analytics. Learning is effective when it is fun. Gamification is the best way to make learning a fun activity. Not just the school and college learners, but also the corporate learners can be motivated and inspired by gamification. In fact, it’s because of the interactive methods, eLearning is 40-60% faster in knowledge imparting and boosts the knowledge retention by 25-60% (source). LMS with the features like achieved badges, points, and leaderboards appeal students to take part more and involve in a competitive learning environment. Even the digital certificates act as a motivational factor which encourages learners to gain them with greater participation in assessment tests. Gamification like certificates and leaderboards impart a sense of self-accomplishment. They act as a fuel of motivation and encourage learners for greater participation. To make your eLearning platform more effective, you must look for the interactive features like these as a necessity. Even the learners taking the same course might have different skill and level of comprehension. The ‘one size fits all’ approach is useless when teaching the students with different levels. You need to create personalized learning paths that involve assessments on different criteria and feeding of the learning materials correspondingly. The best way to do that is segmenting the learners in different categories and feeding them the materials on a personalized path for each segment. For that, you can create the custom course flows with custom rules based on which the learners will automatically gain access to the stuff they should know first to complete the current course. One more way is creating independent micro-modules of topics and lessons and assigning these modules to the students in a custom learning path. Again, you can set strict rules and assessment tests that will analyze the students and feed them the materials accordingly. For example, you can set CSS and HTML as pre-requites for a student enrolling for the web-designing course. You can set rules to identify if the student is aware of the HTML and CSS concepts. If not, you can feed HTML and CSS modules first and then proceed with advance web designing modules. So that the student must first complete pre-requite modules to complete the current course. It’s simple, check if the LMS is offering the options to create independent micro-modules. Next, ensure if it allows you to prepare custom sequences of each module. Moreover, the LMS must also allow you to create assessment tests at the end of every module to verify the course progress. The digital formats of courses and custom sequencing are so easy with online learning and training platforms. A simple tweak in the sequence can personalize a whole course structure for an individual learner. If not automatic, then the LMS must provide the manual way to personalize each course as per the skill set of the learners. 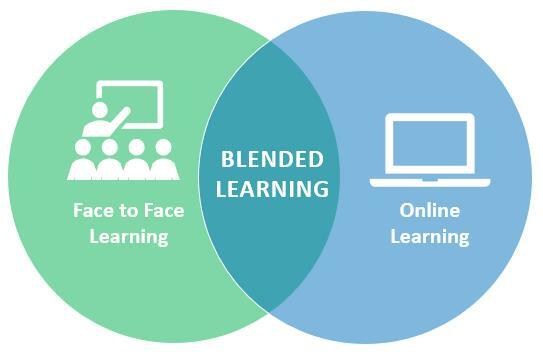 Blended learning occurs when online and classroom learning is mixed with each other. It extends an LMS for not just online learning and training but also as a complete management system for the whole training program. With additional features to blend eLearning courses and multi-media teaching aids, the LMS is also responsible for administrative features like program enrolments, automated user registration, email support, and attendance system, delivery of study materials on emails or personalized dashboards, online exams, and online results etc. Blended learning is common among the educational institutes offering distance learning courses. So if you are looking to introduce blended learning for your students or employees, make sure they equip the LMS with features stated above. The requirements for features in blended learning is unlimited. You can live with the basic collaborative features or can also introduce advanced features like AR, VR, or video conferencing. It depends on how much digital you can go with your existing classroom programs. As explained earlier, all LMS can’t have all the features by default. For many reasons, the base code gives you the essential features which vendors find the best. However, it is also important to keep the scope for customization so you can always tweak the LMS to add new features, remove unused features, and optimize existing features. The most fundamental way is checking if the LMS is open-source code. You cannot customize a closed-source LMS. Check if codes are standard. The vendors have followed a universally accepted coding standard. Check if the LMS follows a standard framework and development model. Random coding cannot offer the best customizability. Customizability is a fundamental aspect to look out for. It depends on you -if you want to customize by yourself or can get it done from the vendor itself. You can get the customizations from the vendors itself. You can customize the codes by your own as you have the codes. Eventually, you need a software solution that does not limit you with restricted features. It should own every possibility for research, innovation, integration, and customization as per the requirements. Just take Moodle for example. It offers loads of features by default but still, offer the code customizability so you can always tweak your LMS for a grander personalization. Being white-labeled and having complete adaptability to your brand is a wider concept. If you can put on your company’s logo on the LMS but cannot customize the color scheme, the LMS is not perfect for brand integration. If it allows all sort of UI customization, but you cannot remove the vendor’s branding to put your own, it’s not white-labeled. A perfect LMS for corporate or business usage comes with 100% customizability and is purely white-labeled. A complete brand integration boosts your own brand identity and imparts continuity, cohesiveness, and credibility of your website. If users accessing your eLearning platform find a different UI and branding on the LMS, it ruins the continuity and diminishes your credibility. Mostly, the open-source LMS allow such level of brand integration. Weather LMS lets you change the site logo. Check if lets you change the footer branding. Check if it lets you customize the template and its color scheme. The mere accessibility to change the logo is not brand integration. The LMS must completely allow the code-customizability to revamp the UI, color schemes, icons, and font as per your brand identity. Imagine you have an exam in two weeks, you purchased an online course, but cannot access it. You tried customer support but got a chat-bot who couldn’t help. Then you emailed, only to get a reply claiming to fix the problem in two days. I would go crazy, in a situation like this. Anyone would go fanatic. Would you want your users to go through such a situation? What if you are the website owner? You would contact the tech support of the vendor in this case; what if the tech support also replies in a week or more? The learner-to-admin support was not efficient. Nor was the admin-to-LMS vendor tech support. A simple flaw in the customer support from both the verticals made a learner to suffer, who would definitely not prefer your platform in the future. Ensure the best features to get and give efficient support on the respective fronts. Your LMS to have the best customer support features for Admin-to-learner communication. Need a responsible vendor who has the best vendor-to-admin communication system. You need the same level of grievance handling on both the fronts. Live chat-bot. E.g. Facebook chatbot. Ticket Management System with email, SMS and Push Notifications. Check if the vendor is offering the same facilities to you for tech support besides real-time communication channels like Skype, Phone support, remote access, etc. It requires A two-front customer support to offer the best user experience to the LMS users. Provide the same level of customer support to your users, which you expect from your LMS vendor. Selecting an ideal LMS for your eLearning platform is a tough job. Especially when so many options are there in the market, only proper research on all the option can get you the best of the bests. Set your objectives first, analyze them with the options and your budget of investment. Try out the free and demo versions of as many tools you can find, and tally them with your requirements. Consider, pros, cons, of each option and scrutinize their effects on your set of requirements. Eventually, I would recommend a platform that comes with a higher degree of customization. It’s good if you can find these features by default. It’s also good if the LMS allows the customizability to add these features with code customization or third-party API integration. Get an LMS developed on a tech stack competent of integrating the best of the future requirements. Finally, select a vendor willing to do long-term commitments on technical support.